Comedian Jason Manford was forced to finish his show at Newcastle City Hall 15 minutes early, after a member of the audience collapsed. The comic was at the venue to play a date on his UK stand-up tour. He posted on social media to explain to those who attended why Wednesday’s show had come to an early conclusion. Manford wrote: “So sorry the show had to finish slightly early tonight folks. “The paramedics are still in the auditorium working on the lady who collapsed. “Hoping she’s going to be alright. A spokesman for North East Ambulance Service NHS Foundation Trust told the Press Association: “We received a call at 9.44pm (May 2) to Newcastle City Hall to reports of a female unwell. “We dispatched one rapid response paramedic and one double crewed ambulance. 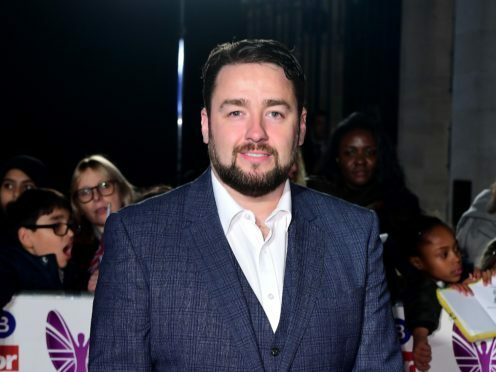 In a later post Manford further praised the response from emergency services and confirmed he had spoken to the woman who had collapsed. He wrote: “I popped out to thank the ambulance staff and she had actually come to and we had a lovely chat where she was very apologetic! Bless her. The former 8 Out Of 10 Cats panellist encouraged his followers with medical conditions to keep emergency contact details on them. Manford said: “Last little thing, if you’re gonna be by yourself like she was, please have details of an emergency contact on your person, or bag, or phone especially if you have particular medical problems. “Thankfully the volunteers who got to her early enough worked it out, but That’s not always easy. Manford is currently touring the UK with his show Muddle Class.